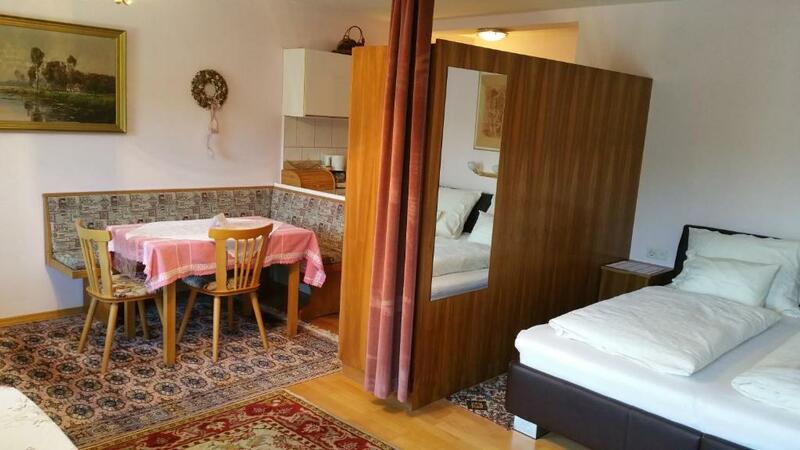 Perfect sized apartment hosted by the nicest couple. Very good location. Owners of the property were super- lovely, kind and caring old couple. Extra special was an homemade cake as a welcome gift. They even brought some strawberries to our kids. The location was very good, close to the lake and supermarket, also not far from the railway station. There is also a nice little beergarten for a five minutes walk. The apartment itself is not the most modern furnishing, but it is nice and clean and it has everything you need for your stay. We were satisfied and would stay there again. Die familiere Atmosphäre, die Frau Kert uns entgegen gebracht hat, war herzlich. Der frisch gebackene Willkommenskuchen war lecker. Die Lage der Pension war ruhig und unser Apartment ging zur Südwest-Seite, was angesichts der hohen Temperaturen ein Segen war. Morgens angenehm kühl, abends noch sonnig. Frühstücksbrötchen konnte man sich fußläufig besorgen. Küche ist gut ausgestattet für Selbstversorger. De eigenaresse is superaardig! Heel vriendelijk en gastvrij. Het was een knusse kamer en alles wat je nodig had, was aanwezig. De accomodatie is op ongeveer 3 minuten lopen naar het bruizende plaatsje. Het is een luxe plaats, maar erg gezellig. Leuke restaurantjes waar je erg lekker en voor een leuke prijs kan eten! Tökéletes elhelyezkedésű szállás, nagyon kedves szállásadóval és kiváló felszereltséggel. Az apartman hangulata nagyon barátságos, otthonos. Emellett rendkívül csendes is, abban az értelemben is, hogy a ház többi részéből semmiféle zaj nem volt érzékelhető. A konyha is nagyon jól felszerelt, semmilyen csalódást nem okozott. Дом расположен недалеко от жд вокзала (10 минут ходьбы), отличная комната, соответствует как на фото, хороший вид из окна, балкон со столиком и стульями, очень приветливая хозяйка, сделала бесплатно нам торт "Захер". Сам дом и комната очень чистая, приятно находиться в ней. Близко (4 минуты) к центру и супермаркету "BILLA". К бесплатному пляжу идти минут 18. Очень радушные хозяева. Общение с ними не только приятно но и очень благотворно для собеседника. 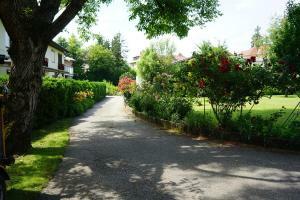 Lock in a great price for Apartments Kert – rated 9.1 by recent guests! Apartments Kert provides barbecue facilities, as well as accommodations with free WiFi and a kitchenette in Pörtschach am Wörthersee, a 13-minute walk from Pörtschach Christmas Market. All units come with a seating area, a flat-screen TV with satellite channels and a private bathroom with free toiletries and bath. An oven and microwave are also featured, as well as a coffee machine and an electric tea pot. 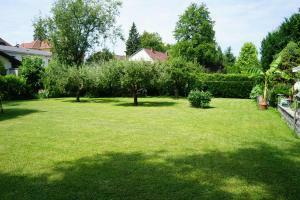 Guests at this property are welcome to enjoy cycling nearby, or make the most of the garden. Congress Center Wörthersee is 1,500 feet from the apartment. 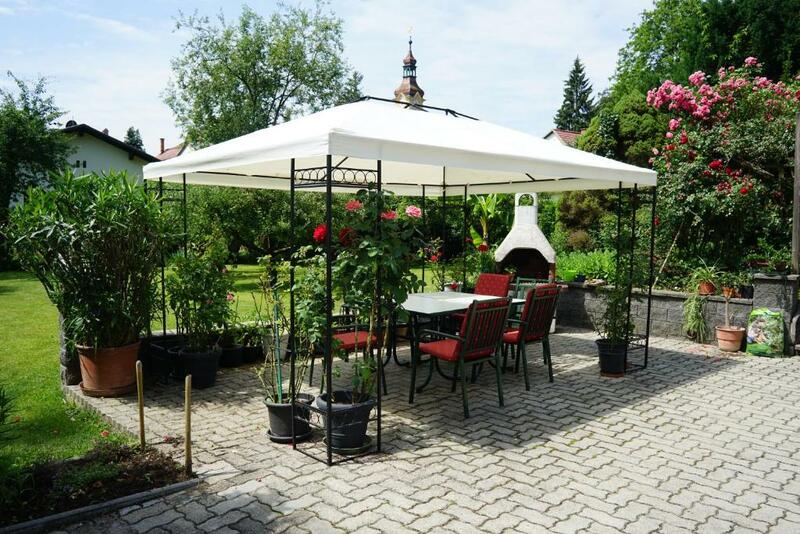 The nearest airport is Klagenfurt Airport, 12 miles from the property. 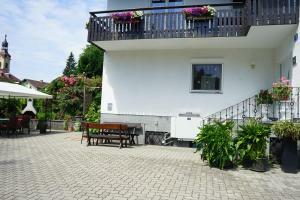 This property is also rated for the best value in Pörtschach am Wörthersee! Guests are getting more for their money when compared to other properties in this city. 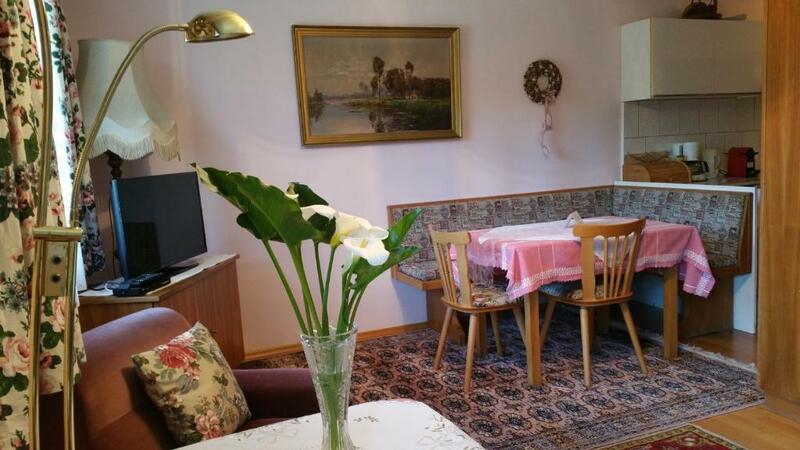 When would you like to stay at Apartments Kert? This apartment has a stovetop, toaster and microwave. This apartment features a private entrance, seating area and balcony. Unser Haus befindet sich in einer 2000m² grünen Oase - die Wiese ladet zum Verweilen ein. Sie haben nur wenige Minuten ins Zentrum von Pörtschach - hier finden sie sowohl Einkaufsmöglichkeiten und Restaurants. Das Strandbad ist nur ca. 10 Gehminuten entfernt. Unser Haus befindet sich nur 700 m vom Ortskern Pörtschach entfernt in einer 2000 m² großen Grünanlage. Hier finden sie diverse Einkaufsmöglichkeiten. Das Strandbad ist zu Fuß in ca. 15 Minuten erreichbar. 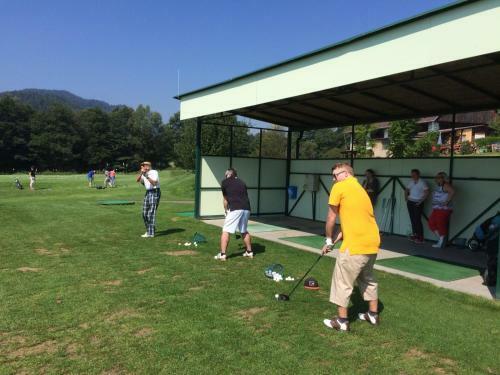 Der Golfplatz Moosburg ist nur 7 km entfernt. Die Landeshauptstadt Klagenfurt ist 15 km entfernt und auch jederzeit mit Bahn oder Bus zu erreichen. Das Casino Velden liegt ebenfalls in unmittelbarer Nähe. Sportmöglichkeiten können ebenfalls zu Fuß erreicht werden, ob Tennisplätze, Wasserskischule, Bootsverleih liegen in der Nähe. House Rules Apartments Kert takes special requests – add in the next step! Unfortunately, and this can be exceptional, our sheets had a very intense sent. I'm sure that we could have gotten them replaced though..